AT&T Midwest Bargaining Report #30 – Shareholder Meeting Coming Up! There have been few new developments over the past two days. A handful of major issues are still out there and the bargaining team is working through each of them. Each of the issues left out there are all about the quality of life in the workplace and out of the workplace. AT&T can afford to be an industry leader while still showing Respect In People rather than joining the corporate “race to the bottom” in their pursuit for even more profits. As you may have heard, CWA members will be attending the AT&T Shareholders Meeting in Spokane, Washington this Friday. They’ll be taking the Midwest and Legacy T fights straight to the Executives and shareholders. So while they’re pushing on the decision makers from Dallas, let’s make sure the message is heard loud and clear in the workplace on Friday as well. Don’t let up, stay mobilized! 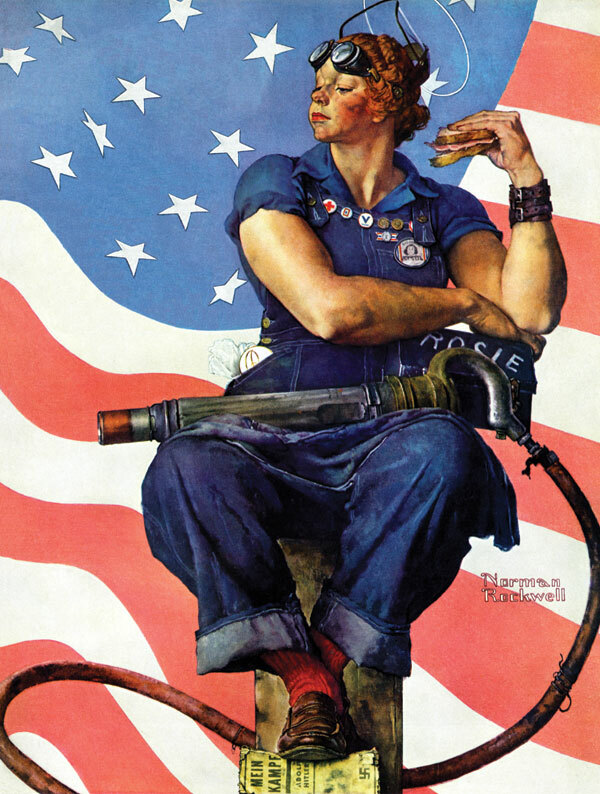 Mary Doyle Keefe posed for Norman Rockwell’s painting, ‘Rosie the Riveter,’ which appeared on the cover of the Saturday Evening Post on May 29, 1943. Keefe lived with her family in Arlington, Vermont and worked as a telephone operator. Norman Rockwell came to pay his telephone bill one day and asked Keefe if she would sit for a picture. She was photographed by Gene Pelham and then Norman Rockwell cut out what he wanted from the photos. Keefe sat for him twice and was paid $10 for her work. On the first day, she wore a white blouse beneath her overalls and a pair of saddle shoes. Rockwell wanted something different though, so she posed again with a blue blouse and penny loafers. The painting of Keefe first appeared on May 29, 1943 on the cover of the Saturday Evening Post. It was also used to promote the purchase of war bonds. Known as ‘Rosie the Riveter,’ the painting represented the “can-do attitude of American women whose work helped win the war. It is arguably among the most recognizable images of World War II and transformed Keefe from a small-town switchboard operator into an American icon.” The painting displays Keefe with a muscular physique, which shocked her the first time she saw it. Rockwell later apologized to Keefe for enlarging her so substantially. After becoming famous as Rosie the Riveter, Keefe attended college, became a dental hygienist, got married and had four children. ‘Rosie the Riveter’ was auctioned off by Sothebys in 2002 for $4.9 million; the highest ever paid at auction for a Rockwell painting.